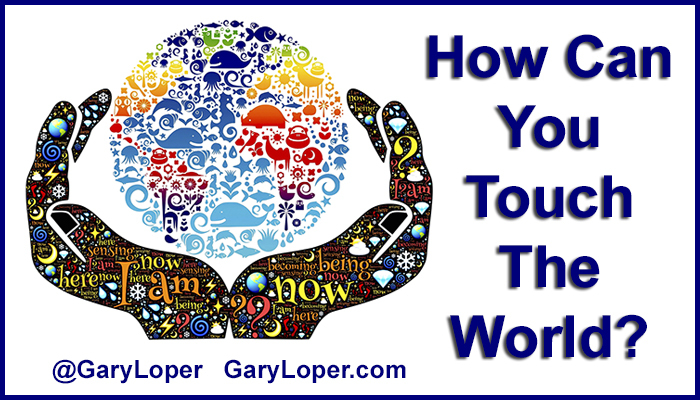 How can you touch the world? Believe and trust that you can touch the world. You only need to touch 5% of the population to start creating positive shifts. Keep going, keep having faith that you are making the right choice to help your clients, your families, and your relationships to be better and more available. Successively it will create ‘the butterfly effect’. How many people are they able to touch? How are their relationships going to get better? That is one of the things that drives me, my family relationships. I am estranged from most of my family. That experience is a huge motivation to Build Better Relationships. I do not know that recovering that family dynamics is feasible, but I do know that there is a hunger for relationships and community. We all have that need. If you were not born into a healthy family dynamics then you need to create one, or find one that fits better. That is my motivation to Build Better Relationships because of what I felt I did not receive, and longed for in my life. My aspiration and goal is to help other people who have had the same experience and concern. Listen to them, love them, and love them the way they want to be loved. Every relationship is going to be different. You may have grown up one way, but you need to be open enough to say … “My partner did not grow up in the same situation. My friends did not have the same experiences.” So, we need to be open to how other people feel and experience love, and not make judgments. Everything is going to be a little different. If there are different things that people are doing in their relationships to fulfill each other’s needs, and it helps them feel loved then it is no place of mine or anyone else’s to say that it is wrong. In relationships there are three essential things to have a successful relationship: listening to your partner, speaking their love language and showing acceptance. One thing that Caryl and I do yearly is renew our wedding vows. In December we will celebrate our fourteenth anniversary, but we missed two years where we didn’t go back to the beach where we were married to renew our vows. Two out of the fourteen years we had conflicts that ran over our anniversary time, but we still stuck through it. It was and is an important ceremony in our relationship, to go back and renew our vows, to have that special day. So, find those special aspects in your relationship that you can celebrate, and show love and appreciation for each other. There is a movie called ‘Milk Money’. 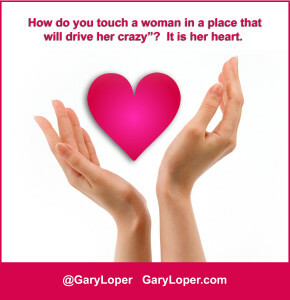 One line that stood out from the movie was, “How do you touch a woman in a place that will drive her crazy”? It is her heart. And, how do you touch each other’s hearts? When I was bartending I was going to write a book. I interviewed women. I asked them to fill out slips of paper on how somebody touched their heart. Ninety-five percent of the responses came back, all about daily things… kisses hello, kisses goodbye, making the bed, taking out the garbage. Sometimes we get caught up in the Hallmark, or some of the big stories of the extravaganza, writing their name in the sky. But, more importantly, touch them every single day, validate them, honor and cherish them, and they will keep filling up your bucket as you keep filling up their bucket. 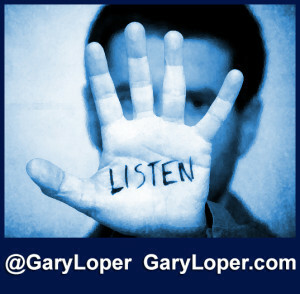 Interested in personal or business coaching, check out my Giant Step Coaching. Receive private coaching at group coaching rates! Read ‘What Are The Most Precious Gifts We Can Offer? Part 1’ in the series. This article was originally posted in Bellésprit magazine. The magazine content features topics of inspiration, guidance, personal experiences, and spirit messages all leading our diamond in the rough to healing and growing into the best ‘diamond’ we were meant to be. Be sure to subscribe to Bellésprit Magazine, a wealth of information.